The wonderful thing about staying in Little Burke Street was the many secreted gems hidden away in the lanes – and HFB was pleased he ventured and discovered a handful of them. 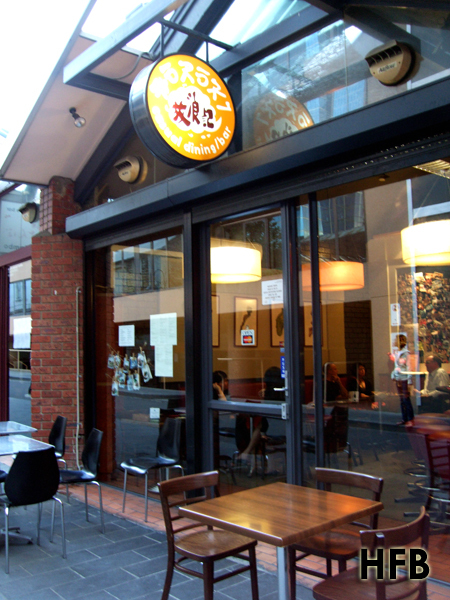 And it was in one of the many adventures that he discovered Horoki Casual Dining/Bar situated at Liverpool Street. A distinctive and funky space in which to dine, their menu was similarly eclectic and inventive, with Japanese flavours predominating, but sometimes quirkily teaming with other diverse influences. We ploughed ourselves at the counter seats where we managed to catch the chef in action. 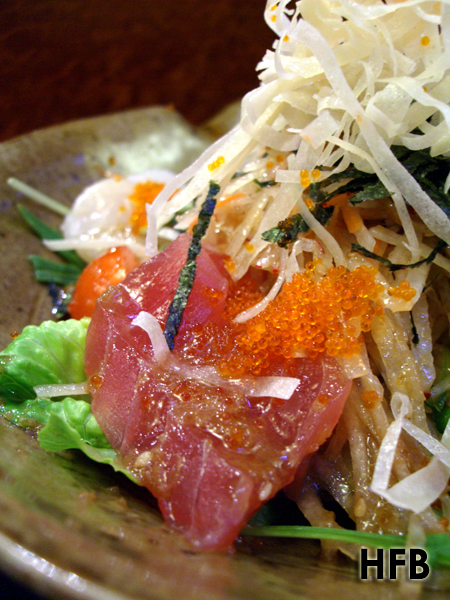 For a start, we had the Daikon Salad with Sashimi ($14.50) which basically consisted of a Japanese style salad dotted with cuts of sashimi topped with a light Sesame and Soy Dressing plus a dash of Ebiko. 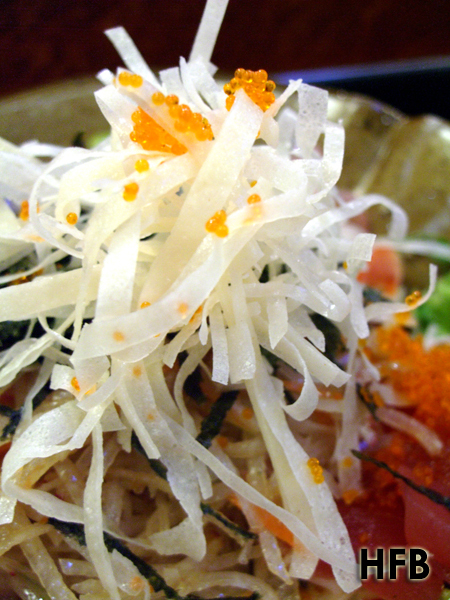 Refreshing, Refreshing, Refreshing – crisp daikon and fresh sashimi makes this dish a perfect appetiser! 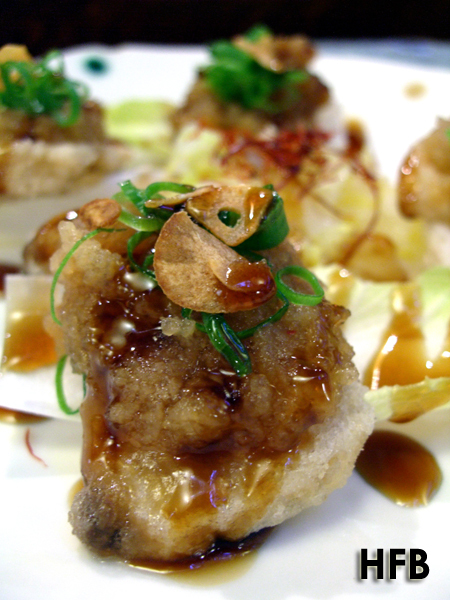 To raise the bar further, we ordered one of the special of the day – Crispy Barramundi with Ponzu and Grated Daikon ($13.00). Nicely presented with an appealing look, somehow the sweet-sour nature of the ponzu harmonised adequately with the savoury of the crisp fish. 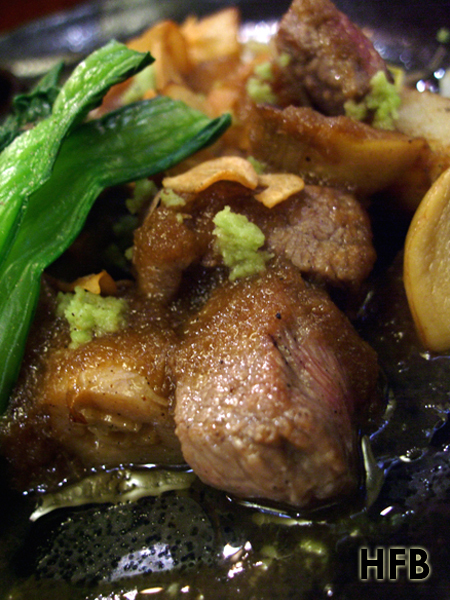 The adding of grated radish also gave it addition texture. Pretty brilliant HFB must say. 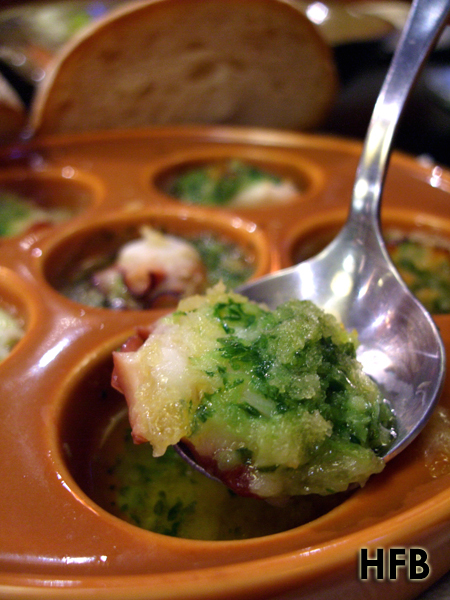 What else can one possibly used the ceramic escargot dish for? Well, Horoki used it for their Roasted Octopus with Garlic Butter ($13.80). Served sizzled with garlic butter sauce, the dish also came coupled with fresh bread. Although one would never go wrong with a garlic butter combination, HFB never really like Octopus (due to their chewiness and tastelessness), and this dish hadn’t do enough to change that opinion. The Diced Scotch Fillet Steak and Potato ($15.00) served with Onion and Wasabi Sauce was just simply a comfort dish that HFB enjoyed. Done to a perfect medium-rare, the wasabi sauce gave it a tiny Japanese twist to the usual boring rendition of hot English mustard. 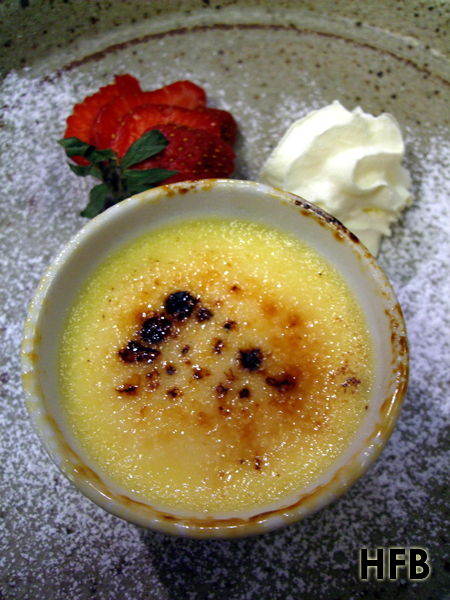 We took a peek at the next table and caught a very nice looking dessert – Crème Brulee ($7.00), and couldn’t resist but ordered it. Nicely caramelised crust with a smooth light cream within, this was a pretty darn fine interpretation. 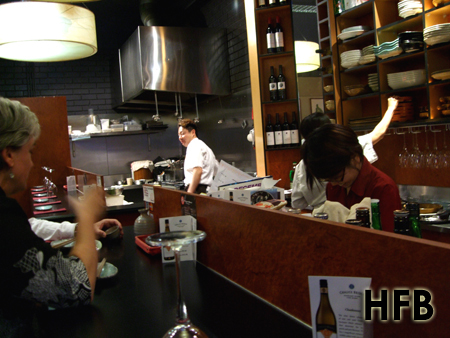 Overall, Horoki was a pleasurable find that provided HFB a pleasant dining experience.